The signature Pine Collection is a stunning example of nature's detail expressed through exquisite craftsmanship. Enjoy the ephemerality of delicate pine needles, the rough texture of bark, and the quiet rhythm of pinecones; all rendered in solid, wrought iron. Each piece is individual to the blacksmith who created it. As in nature, no two branches are exactly alike. Choose from any of our finishes for a wide range of effects. 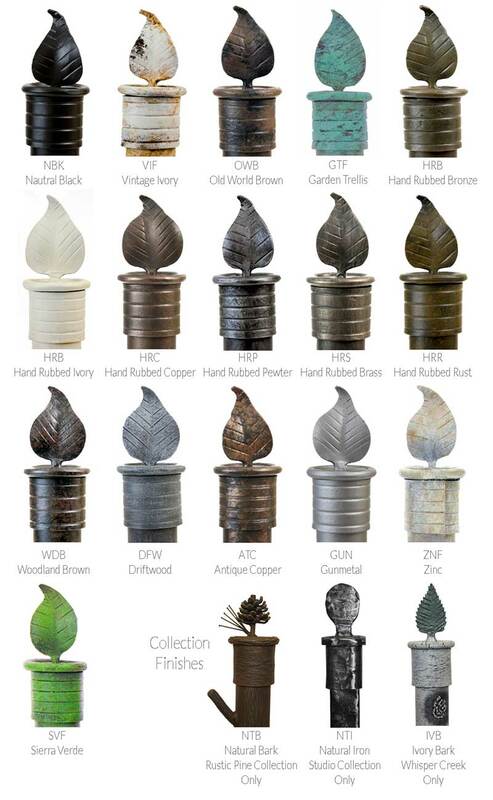 Brighter finishes, such as Hand Rubbed Bronze (also called Rustic Bark), give extra dimensionality to texture. Quieter finishes, like Woodland Brown, create a more muted, natural-looking piece. 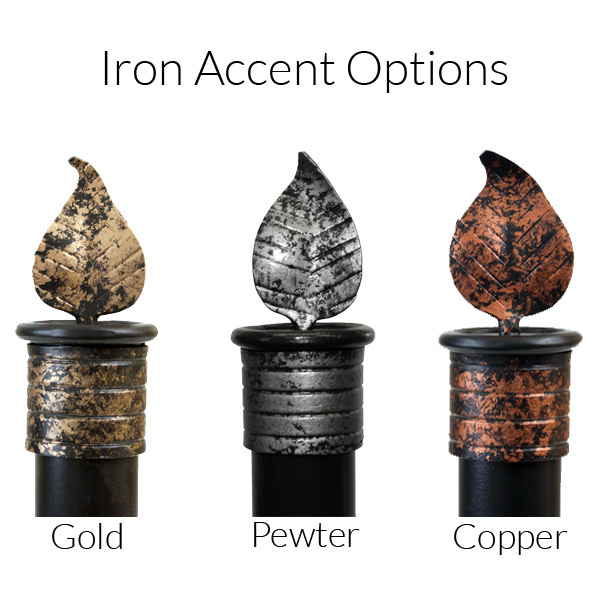 Add accents in copper or gold to make the extra details really come alive; you might want to consider coordinating a special finish with the Hand Fired Copper shade! Each part of the fixture is beautifully textured for continuity: the ceiling bracket, the pine cone and branch, and the down rod. When hung, the 8" lamp lamp drops 31" from the ceiling while the 12" lamp drops 34" from the ceiling. 8" Shade: 8" x 8" x 31"
12" Shade: 12" x 12" x 34"